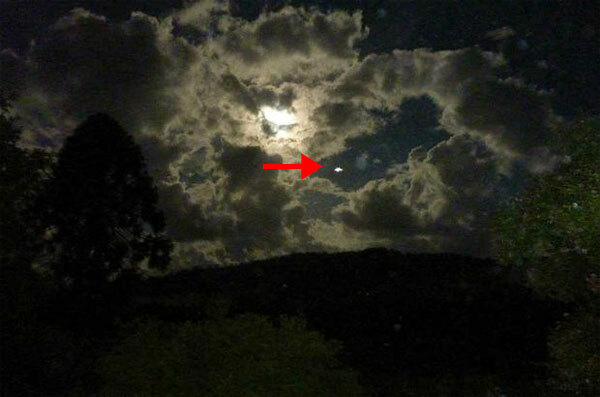 A photographer in the Australian town of Cawongla in New South Wales captured more than he was expecting when he noticed a UFO in one of his photos. Astronomy enthusiast Andrew Hanlon was taking pictures of the Moon on January 30 in an attempt to photograph a planet moving behind the Moon. With his Panasonic digital camera mounted to a tripod, Hanlon snapped photos every thirty seconds. He didn’t notice anything unusual in the sky while he was taking the photos. It wasn’t until he was going through his photos the next day that he noticed the unidentified object in one of the photos. 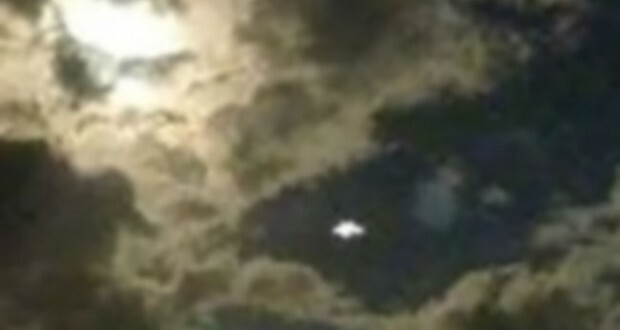 Intrigued by the unexpected bright object in his photo, Hanlon is trying to identify this UFO. Although he says he didn’t hear any aircraft engines during his photographing session, he considered the possibility that the photo might have been taken at the exact moment when a plane’s lights were flashing. But he was reportedly told by an expert that he could rule out this possibility. Local media outlet The Northern Star reports that a spokesperson from the nearby Evans Head Memorial Aerodrome suggests the object in Hanlon’s photo is the International Space Station.